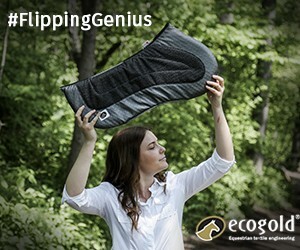 Allison Springer is a four-star event rider, trainer, and coach and former president of the Eventing Riders Association North America. 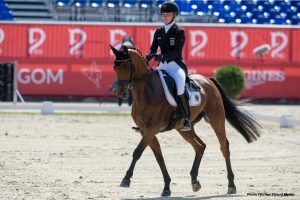 Eventing headlines last week shocked the world when it was revealed that Germany’s Julia Krajewski’s horse, Samourai du Thot, had failed a drug test after finishing 18th at the FEI European Eventing Championships in August. The horse failed both the A and B samples of blood, both of which had the presence of Firocoxib, which is commonly found in Equioxx and Previcox and is classified by the FEI as a controlled substance. Now, Germany loses their team silver medal as a result of the positive tests, which leads to the question of what happened. Why would Germany, who is usually at or near the top of the podium at every event, take such a huge risk? Or were they sabotaged? In my mind, unfortunately this seems like a pretty blatant case of sabotage, which saddens me. Having sat on the USEF Drugs and Medication Committee, it is my opinion that positive drug tests are not a part of the eventing culture. Drugs and eventing simply don’t mix – just as they absolutely should not in any equine discipline. I am very proud of the work USEF President Murray Kessler has done to intensify the sanctions on illegal drug and medication use in the States to improve this unfortunate trend. In this case, I don’t see much of a reason why the rider in question would have knowingly given her horse Equioxx or Previcox. Both Equioxx and Previcox typically take a bit of time before any effects are seen – therefore, given the timeline of the horse ingesting it (which they have narrowed down to sometime after dressage and before cross country), it wouldn’t make sense that it was administered in an effort to help the horse’s performance on cross country or with passing the Sunday trot up. Additionally, it doesn’t make sense that a groom would accidentally have given the horse the medication either. 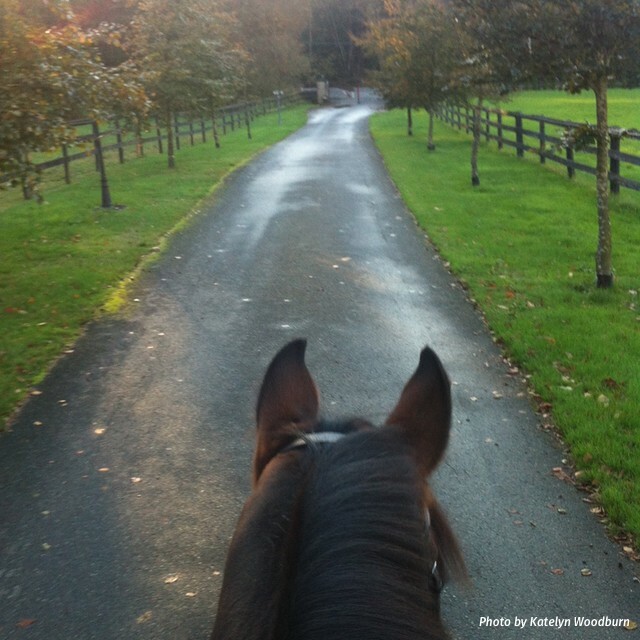 I believe we can’t be too careful when it comes to protecting our horses and the integrity of the sport. 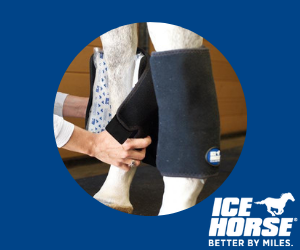 In my experience competing internationally, it’s a very strict environment where even a rider’s personal “stash” of medications that might be needed in an emergency are not even brought into the barns at competitions of this caliber. I also cannot fathom that a groom would have administered a known substance that would pop on a test at the risk of their job and reputation (unless, of course, they were a disgruntled employee). I’d also like to point out that a groom at a competition with such high stakes, as the European Championships is, would most likely not be an inexperienced groom or a first-timer. The Germans are a competitive machine for a reason; they know how to train their staff and regulate their horses to prevent situations such as this, so you can imagine how much of an uproar this has caused within the German circle. The evidence unfortunately leads me to believe sabotage was the reason for this positive test. So where does the solution come from? Acting on the presumption that this particular instance very well could have been sabotage, the first thing we look at is security. And what best would deter people? Cameras and more stewarding in the barns. 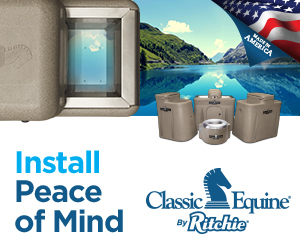 Recently at the International Hunter Derby Finals at the Kentucky Horse Park, FEI stabling protocol was used with cameras and stewards patrolling the barns, despite the fact that it was a USEF regulated competition. I have not seen this level of security in eventing at FEI competitions required at all, though this could also be attributed to the fact that these drug violations seem to be more of a rarity within eventing. Of course, implementing cameras and higher security proposes a higher cost, so whose responsibility would that cost fall to? I can’t answer that, but I do think that it’s something that should be discussed, particularly at qualifying events or team competitions. While I do think the measures in place at CCI events – where secured stabling is required – are a good precaution, I also know that wristbands that are given to competitors to be handed out at will are perhaps not the best way to go. In Kentucky, for example, those who are allowed in the barns have photo credentials. No one is getting into the barns without one of these, and I think implementing these higher credentials for all FEI events is a good place to start. In the unfortunate event that a positive drug test occurs, it at least narrows the pool of those who could be responsible for sabotage. Would it prevent this from occurring altogether? Probably not, but higher security means a higher chance of deterring a potential crime. Positive drug tests are not a part of the eventing culture, and it’s something we as a whole are proud of. While we are fortunate as eventers to not see a lot of stories such as this, I believe we can’t be too careful when it comes to protecting our horses and the integrity of the sport. I’d like to see more enforcement at events with CIC classes as well (for the horses that are stabling on grounds)- these are still FEI competitions, but most CICs do not require competitors to stable within a secured area. Considering many Nations Cup events and other big events run in CIC format, this seems to be a no-brainer to prevent further instances of intentional sabotage. In this case with Germany, I think we’re all wanting answers that we likely won’t get unless someone steps forward to take responsibility. Perhaps it was someone from another federation or a disgruntled employee; we will likely never know. 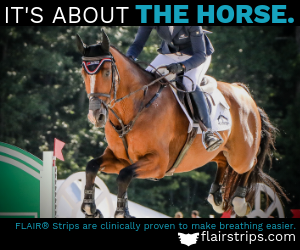 The bottom line is this: positive drug tests are not a part of the eventing culture, and it’s something we as a whole are proud of. It deeply saddens me to see something like this happen, and I think it’s a cause for discussing what can be done to prevent further instances. Protecting our horses is of the utmost importance, so we owe it to them to ensure they are safe – sabotage or not.